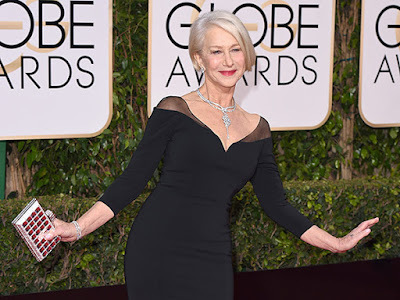 Purple Button Couture: Friday Fashion Fix ~ Golden Globe Style! 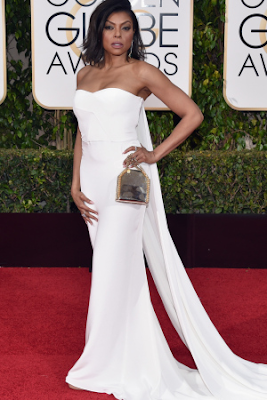 Friday Fashion Fix ~ Golden Globe Style! 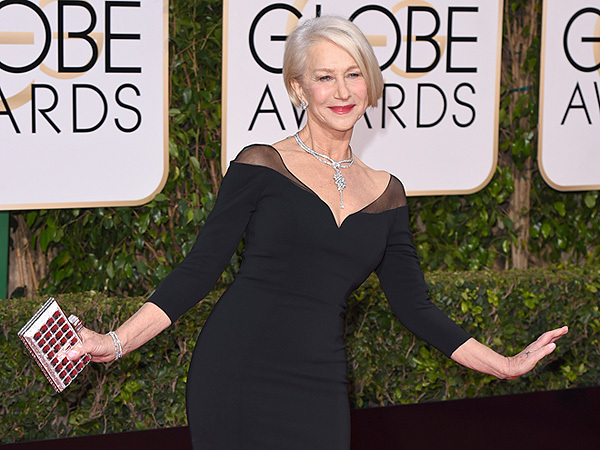 So the Golden Globes have come and gone for another year but who did you think was the best dressed? "The Rock" rocks velvet Tux and shoes with his daughter by his side! What were your Red Carpet favourites?? 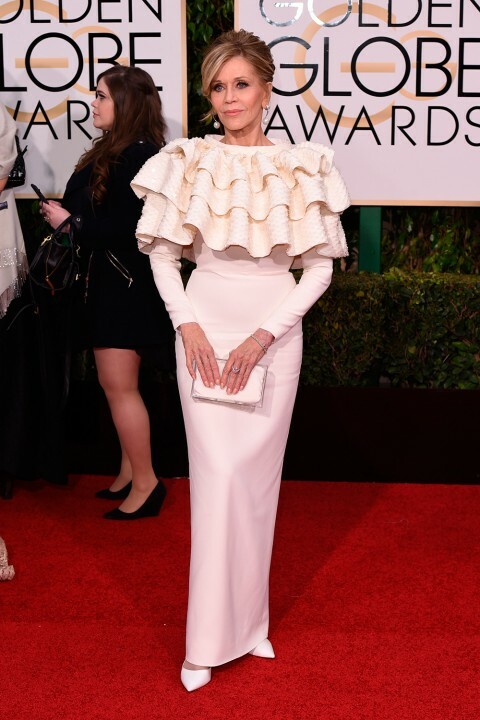 Jane Fonda and Helen Mirren are two of my idols - Jane for her style and acting talent and Helen for her style and her attitude (well, also acting talent). If I manage to age half as gracefully as these ladies, I'll be doing well. Thanks for sharing these images! They were top of the list of Best Dressed, their style is ageless and their talent and outlook got them to where the are!